Our firms provides complete (FCL) and partial (LCL) transportation services form and to all the ports. 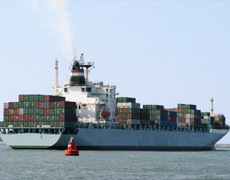 It offers you the most reasonable prices and services, including such special services as the consolidation of freight according to the recipients being in connection with the leading cargo companies in the world. Clearance for entry/exit at all the large ports in the world, storage and all kinds of logistic services for the products it transports are provided by our company on sight. Contract management shall be applied to partial containers and complete containers. We make things easier for you with alternative prices by following the route that is the most suitable for your needs. Possible disturbance is avoided as all the work is done by a single hand.